It's come out today that Toronto Maple Leafs General Manager Brian Burke has shaken up his team, making two big trades. 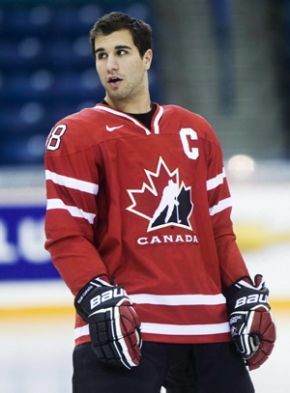 First, he sent Slovenian heart-throb Matt Stajan, Ian White, Jamal Mayers and Niklas Hagman to the Calgary Flames for Dion Phaneuf, Fredrik Sjostrom and Keith Aulie. Then, he sent Vesa Toskala and Jason "Johnny Wristshot" Blake to the Anaheim Ducks for J-S Giguere. I've got to head off to work shortly, so extensive commentary will have to wait until tomorrow. Right now, it's hard to tell if the Leafs are better or worse, but they are certainly different. As some of you may have noticed, John Chidley-Hill.com has been down since Thursday, 5 p.m. e.s.t. Obviously, it's up and running again thanks to the efforts of the good people at GoDaddy. My understanding is that there was a problem with the database that WordPress operates off of. 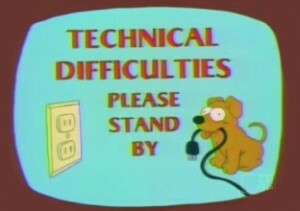 Hopefully, the technical staff will be able to explain the problem to me and we'll avoid this kind of outage in the future. Patrice Cormier has had a change of heart, and all it’s going to cost him is what little credibility he has left. The Rouyn-Noranda Huskies and Cormier announced yesterday that they would be appealing the Quebec Major Junior Hockey League’s season-long suspension of the 19-year-old forward. “He could serve up to 48 games, that's too much,” said Huskies coach and general manager Andre Tourigny. “I respect the decision of the QMJHL even if I find it too severe. I deeply regret the circumstances surrounding this event and I wish Mikael Tam a speedy and full recovery. Thanks for your attention,” said Cormier in a short statement read to the Canadian Press by telephone. Earlier this week I had criticized that particular statement by Cormier because there was no actual apology to Tam. He still hasn’t apologized and this appeal is much worse, adding insult to injury. 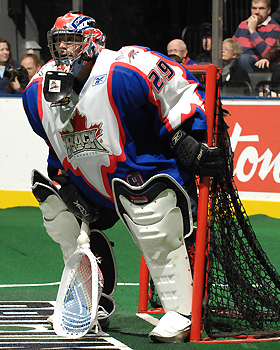 Cormier could have continued his career in, as Tourigny said, just 48 games. If he had accepted his punishment, acted contrite whenever asked about the incident and worked hard on the ice to develop as a player, he’d likely make the NHL within two years. But now he’s rubbing some salt in the wound, and not winning over any supporters. Although I felt that the suspension was a fair punishment for what was clearly a malicious hit, other corners were calling for a lifetime ban. I can only imagine the ink that will be spilled if Cormier’s suspension is shortened. That said, I do understand the team’s motivation behind the appeal. Rouyn-Noranda paid a hefty price to acquire Cormier. Specifically, they sent two promising players in Michael Beaudry and Alexandre Mallet (both just 18 years old) as well as three first round draft picks and one second round draft pick to the Rimouski Oceanic for Cormier and Jordan Caron. To lose one of those players to suspension for the rest of the season – and possibly for the rest of his junior career if he moves on to the NHL or AHL next year – cripples the Huskies playoff chances. Rouyn-Noranda’s playoff window is closing, and Tourigny knows that he gave up the team’s future is bleak without those four picks. The problem is, of course, that although Cormier might not play again this season, he’ll definitely be playing somewhere next year. The same can’t be said for his victim, Mikael Tam. Although Cormier’s suspension is a bitter pill to swallow, it did give him the opportunity to move on. The same can’t be said for Tam. Cormier should be counting his blessings, not the number of games he’ll be missing. When I worked at the World’s Biggest Bookstore we used to come up with little games to help us kill time. The Movie Game, the Hand-Loop Game, The Game, and, in a horrifying combination of nerdiness and creativity: the Super-Hero Originality game. The premise is simple; name a Marvel Comics or DC Comics character that you believe can carry their own monthly title. Providing evidence is crucial – if they have had their own series, or currently have a monthly title, then your case is made. Otherwise, you have to come up with a pitch of your own to convince your peers that this protagonist can carry a monthly book. The character must be from the mainstream DC or Marvel Universe. Sorry, no Ultimates or New Universe or 2099 or Wildstorm or anything like that. Core Universe! Their first appearance has a cover date of January 1980 or later. That doesn’t sound tough, but there really aren’t that many characters under 30 years old. They can’t be a mutant. Not to hate on the X-Men, but in the late 80s and early 90s “(s)he is a mutant with a murky past!” became the de facto Marvel Comics origin, and it doesn’t strike me as a particularly creative background for a character. It doesn’t provide motivation or any kind of character depth. No legacy characters. I love Jamie Reyes, but, again, he’s a character who is the latest in a long line of similarly named and costumed heroes. That is, by definition, not original. No derivatives. Sorry She-Hulk, Red Hulk and Blue Hulk. Don’t waste our time, Conner Kent. Like legacy characters, the idea is to avoid protagonists clearly based on well-established characters. Can anyone add to this list? There must be more characters that can fill it out. If your hero has not had a monthly series before (or currently) please make sure to explain why you think they can carry their own book. *Deadpool is a pretty contentious choice. He’s not a mutant, but he is definitely a part of the X-Men mythos. Also his powers are literally a derivative of Wolverine’s healing factor. Still, he’s not an obvious rip-off of Wolverine. He’s definitely a borderline choice. Patrice Cormier, as a member of Canada's world junior team in action with a Swedish player. The Quebec Major Junior Hockey League has suspended forward Patrice Cormierof the Rouyn-Noranda Huskies for the rest of the regular season and the playoffs. Of course they did. Really, it’s the only option the league’s disciplinarian had after the former captain of Canada’s World Junior tournament team laid Mikael Tamof the Quebec Remparts out with a vicious elbow. But there are still lots of questions, the biggest and broadest of which is: where do we go from here? Not just Tam and Cormier, but the game itself. By all accounts, Tam has already begun to recover. He hasn’t shown any signs of a concussion and he’s been released from the hospital. All good news, to be sure. But no one is sure if he’ll be able to re-join his teammates, or when. Sad when you consider that the 18-year-old defenceman was having a career season with 10 goals and 12 assists. Cormier, of course, will be spending most of his time training on his own. Lou Lamoriello, the GM of the New Jersey Devils who drafted Cormier 54th overall in the 2008 draft, has already stated that the team will not place him in the American Hockey League or on any other teams affiliated with the Devils. "We will honour the league's suspension, have not considered, and will not explore other avenues for his return this season," Lamoriello said in a press release. This won’t be the end of Cormier’s career though. He's still a top-flight prospect who might be able to bounce back from this incident. Certainly, if he keeps his head down, his nose clean and continues to develop as a player, the Devils will have to consider calling him up to the NHL in the next few seasons. Cormier has issued his own public statement, saying, in part, “I deeply regret the circumstances surrounding this event and wish Mikael Tam a speedy and full recovery." No apology to Tam, just some best wishes. As so often happens in incidents like this, the injured party has to deal with the consequences of the play, while the offender is able to, eventually, resume their career. I wouldn’t want Cormier on my team, but the world of hockey has found roomin its heart to forgive a lot of players after similarly vicious incidents. Todd Bertuzzi is the first name that comes to mind. And that brings us to the real problem: violence in hockey. After all, everyone abhors Cormier’s cheap shot, but no one knows how to remove dirty hits from the game. I know that I enjoy watching a good hockey fight, as I think most people do, and there’s nothing like a good, solid hit. Hockey is an intrinsically violent game. But there is a semi-permanent, translucent line in hockey that a player can cross where finishing their check somehow becomes a late hit. Standards seem to change case by case. This line needs to be better defined, with clearer consequences outlined. How else can hockey separate good violence from, for lack of a better term, bad violence? I’m not sure. Hockey and hockey culture will always be physical, and tough players will always be admired. It would require an incredible sea-change to adjust the attitudes of players, coaches, officials and fans. Suspending Cormier is certainly a good step. He’s a very visible junior hockey player, and as I mentioned in an article last week, he’s a repeat offender. It sends a strong message to the hockey community, and was the natural conclusion to a nasty chapter in QMJHL history. Forcing Cormier, and other offenders at all levels of hockey, to engage in public awareness campaigns might be productive as well. However, the most effective solution would be to force the offending player’s team to forfeit the game. Had Quebec lost that game (the Remparts rallied to win 3-2 in the shootout), I feel that the QMJHL should have ruled the game as a forfeit for Rouyn-Noranda. If this became standard practice in junior and professional hockey leagues, I think it would create a sense of peer pressure that a cheap or dirty hit hurts the team in the standings, and players and coaches would do a better job of policing themselves. After all, no one wants to be directly responsible for costing their team a game, in addition to be suspended and fined. It will take a huge, systemic change to eliminate dirty hits from hockey, but I think it’s time that better minds than mine began to apply themselves to this problem. Now this is a Super Bowl match-up! 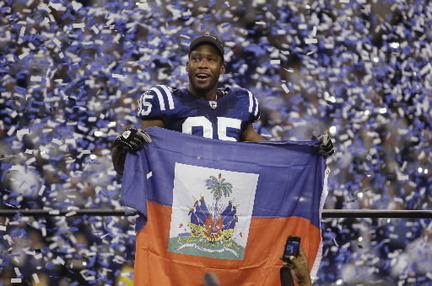 Pierre Garcon celebrates the Indianapolis Colts 2009 AFC championship while holding a Haitian flag. Yesterday, the Indianapolis Colts and New Orleans Saints earned their way into the National Football League’s championship, the Super Bowl. I couldn’t be happier that these two teams are the finalists because this is the Super Bowl as it should be. The best versus the best. No upsets, no underdogs, no wild card teams and no representatives from a weak division or with a mediocre 8-8 record. For the first time in more than a decade, the top two seeds from each conference will be competing. The Indianapolis Colts (14-2) will be representing the AFC after winning their first 14 games. Their final two games, well, were a bit controversial. After Indy clinched the top playoff seed in the conference they rested most of their starters so that the Colts would be in top form for the playoffs. Their fans were outraged, but it seems to have paid off. Peyton Manning and Company have looked dominant against the San Diego Chargers and New York Jets. For their part, the New Orleans Saints (13-3) actually tried to protect their perfect season, but ended up dropping their final three games. Despite that, they still finished with the best record in the NFC and have turned it back on in the playoffs. This is the first time the Saints have ever been to the Super Bowl, and it’s provided a lift to the city of New Orleans, still recovering from Hurricane Katrina. This match-up - this is the way sports should be. Unfortunately, as the media, television in particular, has exerted more control over professional leagues, the level of competition has been watered down. Longer schedules and more playoff games are added to increase advertising revenue, and the fans suffer with bizarre, unlikely match-ups in the postseason. The NFL is particularly prone to these off-balance games. Its single elimination playoff format leaves too much to chance with fluke plays and coin tosses determining who moves on to the next round. More often than not the best teams never end up playing each other, to the detriment of the fans. Simply put, the Colts and the Saints are the cream of the crop and that’s the way the Super Bowl should be. Nothing but the best. Almost two years ago I wrote on my defunct blogthat European soccer fans should “relax” about foreign ownership like Tom Hicks and George Gillet of Liverpool and the Glazer family of Manchester United. Yesterday BBC News announced that Manchester United’s debt has now reached £716 million(that’s $1.1 billion USD), with patriarch Malcolm Glazer handing out loans of £1.67 million to each of his children who happen to be directors of the club. 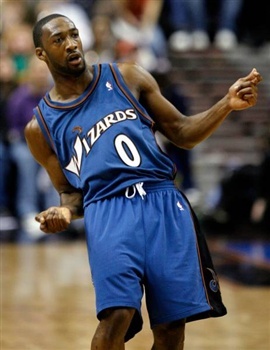 Hey ManU fans? My bad. I was wrong. The Glazers have put your club at risk with their mishandling of team funds. A small piece of good news is that the Red Devils can stay afloat as long as they keep winning, which they are sure to do. I still believe that, but the Glazers’ tenure as owners of Manchester United is definitely putting my theory to the test. United is still one of the best teams in the English Premier League. They’re currently in third place, one point behind first place Arsenal, and in a position to return to the Champions League. Forward Wayne Rooney is one of the best players in the league, with 14 goals so far this season. Their merchandise is as popular as ever, with their familiar red and gold logo still gracing jerseys, shirts, hats and all kinds of kit. So where is all this money going? Running a professional team of Manchester United’s calibre is always a costly enterprise, but to the tune of £716 million? According to journalist David Conn on the Guardian’s Football Weekly Extra podcast, the Glazers have loaded the club with the debt they had taken on to buy United. That’s right; the team is paying for its own purchase. That original debt, plus interest and the usual litany of fees from banks and lawyers, has eaten away at the club’s value. It gets worse. Conn says that contrary to manager Sir Alex Ferguson’s claims, the £80 million in transfer fees collected from Real Madrid for Cristiano Ronaldo’s transfer won’t be available for roster acquisitions, as the money has already been paid towards United’s debt. In their most recent financial report, Manchester fully acknowledges that if they can’t continue their current competitive pace, they are in grave financial trouble. This reinforces my belief that relegation/promotion and on-field success are still the keys to making money, but there is still cause for concern. The Glazers are making the same mistakes that launched the financial downturn that is still affecting the global economy. Debt to pay off debt is never sound planning. Although the football side of the team can maintain this pace, the business side definitely can not. Things have to change at Old Trafford, and soon. Fans of Manchester United, and soccer fans as a whole, should be keeping their eyes on this situation. 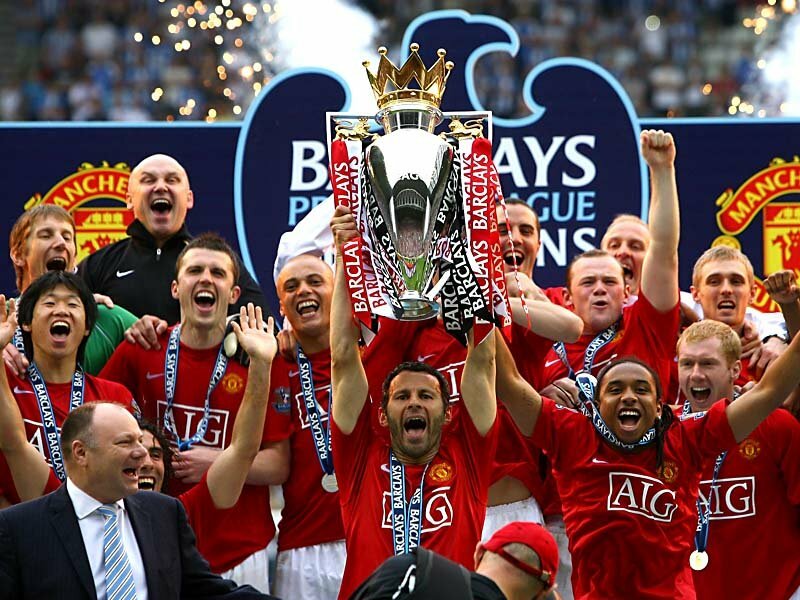 There’s more than just pride at stake on the EPL tables with United needing on-field success to stay afloat financially. One of my New Year’s resolutions was to read more comic books and graphic novels. Hardly a self-improvement project, I know, but I want to get down with my nerd self. 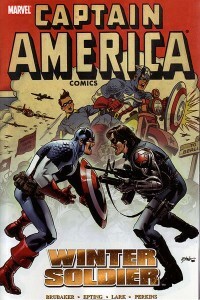 My first graphic novel of 2010 is Captain America: Winter Soldier vol. 2, allowing me to complete the first story arc of Ed Brubaker’s popular run on one of Marvel Comics’ most recognizable characters. I’ve never been much of a Captain America fan. I prefer grittier characters like Batman or the Punisher, so his squeaky clean image never appealed to me. And since I’m Canadian, all the patriotic beats were lost on me. But Brubaker’s Winter Soldier storyline sucked me in. I’d heard that the new Captain America series was going to be bringing back Bucky, a character who had been dead since the end of World War II, and it hooked me. This was a Big Deal to comic fans. Bucky had been Cap’s 16-year-old sidekick during the war, but was tragically killed when a missile he was trying to disarm exploded in mid-flight. The same incident dropped Cap into the frigid North Sea, freezing him until the 1960s. The death of Bucky had always been cited as the reason why Marvel’s superheroes don’t have teenaged sidekicks - unlike their DC counterparts - and it added a sense of realism to the company’s mythos. For Brubaker to be retconning a fundamental element of Marvel Comics seemed like heresy, albeit an intriguing act of rebellion. Captain America: Winter Soldier Book One and Two brings together issues 1-14 of the fifth monthly series to star Steve Rogers. They revolve around a terrorist attack that was apparently perpetrated by a mythical Cold Warrior known as the Winter Soldier who may actually be Cap’s former partner Bucky. 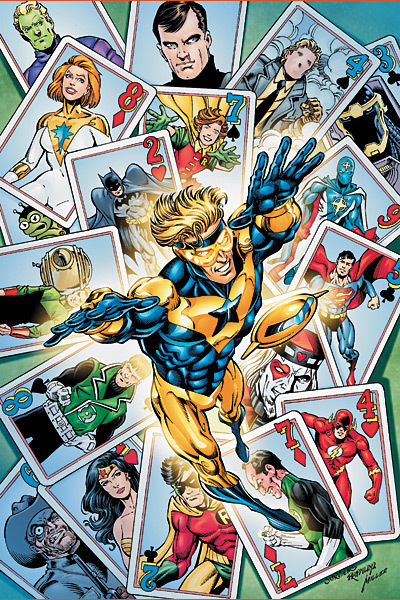 Resurrection storylines have become commonplace in comics, a constant recycling of characters who had been killed for dramatic effect, only to return. It’s a trend that is holding back a medium that I love. But Brubaker handles the return of the long-dead hero with a deft hand that provides not just a plausible explanation for his survival, but an engrossing story. Interspersed with action, character moments and plot developments, Winter Soldier begins with Captain America becoming angry and frustrated with the inability of the United States government to attack countries that sponsor terrorism. The detonation of a Weapon of Mass Destruction in Philadelphia leaves a trail that leads to former Soviet general Aleksander Lukin, and his shadowy operative the Winter Soldier. Even the name Winter Soldier is clever work by Brubaker. It’s a reference to the loyal American revolutionaries who stuck with George Washington over the harrowing winter in Valley Forge, but also to the Winter Soldier Investigation, a Viet Nam era examination of atrocities and war crimes committed by the United States Armed Forces. Brubaker seamlessly connects the Second World War, the Cold War, modern terrorism and Captain America’s complex continuity. It’s not just that he brings in plot points from every era of Cap’s 70 years of existence, but the pacing and style of the book draws heavily on these aspects of the character’s history. To me, a classic Captain America story has him and a partner rushing off into danger to stop a catastrophe from befalling the United States or the world. Winter Soldier is no different, with Cap rushing to stop Kronas Corporation with the Falcon riding shotgun. Steve Epting’s art work in this series is fantastic. I can’t think of a current comics creator who makes better use of inking and colouring techniques. His characters are expressive and natural in conversation, and dynamic and fun during action scenes. In particular, the way he draws the acrobatic Captain America jumping, rolling and bouncing in fight scenes is thrilling. Winter Soldier breaks an old comic fan saying: “No one stays dead, except Bucky and Uncle Ben.” The phrase refers to the fact that Peter Parker’s uncle and Captain America’s sidekick must stay dead because their loss is what, in part, forms the hero we know today. I never thought I’d see the day where that axiom was successfully reversed, but the Winter Soldier saga does it. The return of James “Bucky” Buchanan Barnes was enough to catch my interest and buy the first volume of Captain America: Winter Soldier, and the gripping story has lead me to the rest of the series. Brubaker’s writing isn’t some gimmick. It’s some of the best mainstream superhero comic work I’ve ever read.